Sebastopol is a quiet town about an hour north of San Fransisco. Known for it's apples and small town charm, it's a nice place to spend the day exploring. You wouldn't necessarily expect Sebastopol to be the new home of one of my favorite vegan spots, but it is and it does it with all the charm Sebastopol has to offer. Who doesn't like afternoon tea? No one, that's who. I've been able to find a few vegan afternoon teas around the world and I've enjoyed each one of them. They experience and adorable little foods is what keeps me coming back. But I never thought I would find the cutest afternoon tea I've ever been to that was... wait for it... ALL VEGAN, and pretty much right in my backyard (or 2 hours from my backyard). 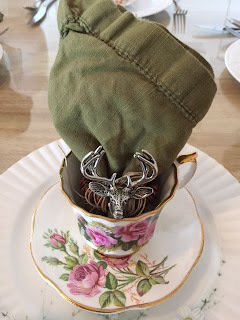 I couldn't believe my ears when I heard about Muir's Tea Room. I was invited to an afternoon tea there with a group of about 10 other vegan gals and I was flabbergasted. Set in a restored house, everything was so cute and so yummy. I've been back since and the cuteness increases every time. And the icing on the cake? It's affordable. Since I'm a fan of afternoon tea, I know how expensive it can be. Unbelievably expensive. At Muir's Tea Room, you can get tea for two (tea, salads, soups, sandwiches, scones, desserts) for under $50. WHAT? Amazing. 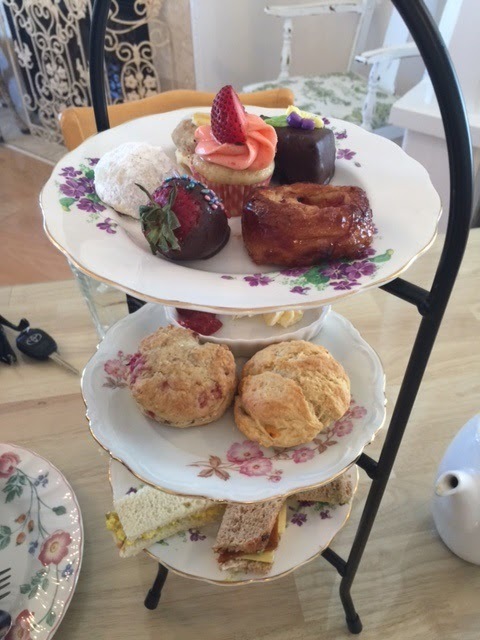 Here is just a taste of what you can get when you make the trip to Muir's Tea Room. On my last trip, I took my husband to check it out. After all, I drag him to all my other afternoon tea excursions. We ordered the Hope of the World, which is the tea for two option. You get so much food for two people, we didn't eat again for the rest of the day. First, you choose your salad. We got the Avocado Cilantro Salad and it was great, but I've also heard the Thai Salad is out of this world. It seems all of the salad choices are good ones. Second, you get your soup. There is no selection for the soup as you simply get the soup of the day. We got the tomato soup, which is already my favorite soup so I was a very happy camper. It was delicious. And now comes my favorite part, the traditional tea rack! For a moment you don't even want to eat what is placed in front of you because it's so beautiful, but that wears off after a few minutes and you want to dig in. On our tea rack we had our finger sandwiches of which you have six to choose from. We chose the Field Roast, Pesto Tomato, and “Eggless” Salad.You then have your scones, which are made with beautiful fruit served with vegan clotted cream and jam. To top it all off, literally, if your tray of petit desserts, which as you can see are truly adorable. And they taste as good as they look! There is a great assortment of tastes, colors, and flavors. And somehow if that wasn't enough, you also get a flaky “Sausage” Roll on the side. Vegans and high tea lovers are so fortunate to have Muir's Tea House within driving distance of the San Fransisco Bay Area. Exploring Sebastopol and a stop at Muir's Tea House makes a great day trip if you're located in the San Fransisco Bay Area. 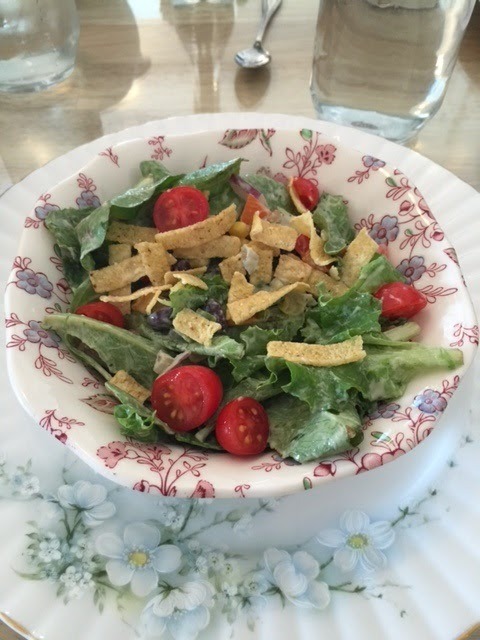 What are your favorite vegan spots in Sebastopol?